Research now shows that an ever-increasing number of customers, including teens and seniors, do their online shopping on their smart phones,even if they are in the same room as their PCs. 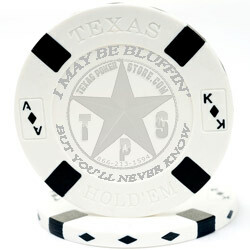 The Texas Poker Store has developed a mobile site to make shopping for poker supplies quick and easy. Texas Poker Store has launched the Mobile Version of their online store for all Droid and I-Phones as well as all Tablets or Pads. This fully functional Mobile application features the complete line of poker products from their existing web-based online store in an easy to use App that allows the end user to navigate through all categories and related products in a quick and simplified manner. “Knowing that Mobile devices have very limited screen space, our priority in designing the Texas Poker Store Mobile site was to make sure that we utilized the space in the most effective manner possible” said Jim Paris, owner and Chief Dealer of TPS. "Because the Texas Poker Store site is predominantly an e-commerce site specializing in all poker-related products such as poker chips, playing cards, and poker tables, it was important that we delivered a navigation system that would take our customers to the products they want as quickly and effortlessly as possible," Paris noted. “We didn’t want them to get lost in too many screens. All our products are easily reached from a product tab at the bottom of the Mobile screen that opens to the scrollable product categories and subcategories. You can still search for any product by name or SKUs or even by price range, so whether you’re looking for discounted inexpensive products or high-end luxury items, it’s all available within just a few touches of your Mobile device screens. At the other end of the spectrum are teenage smartphone users. “All I have to do is watch my grandson and his friends to see how readily they make purchases on their phones,” Paris said. “They are easily influenced to buy and they go to websites adapted for their mobile devices because they don’t have the patience to navigate standard web pages on those tiny screens. They want what they want when they want it! "That research told me that our mobile site could no longer be just a smaller version of our desktop site; we had to design a mobile-friendly site fully optimized for use on smartphones," Paris continued. “With more people using smartphones than PCs to get online, it follows that they will also shop for their favorite products and make purchases from their phones in ever-increasing numbers. 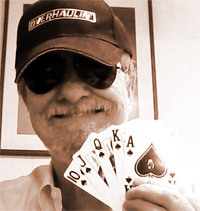 The Texas Poker Store was founded by Jim and Lynn Paris in 2011. Located in College Station - Bryan, Texas, the Texas Poker Store is a fully-stocked online poker store that offers 100 percent secured shopping. It features hundreds of poker supplies from poker cards, to the finest in luxury poker tables, folding poker tables and a variety of poker table tops. It carries poker chips and chip cases, poker novelties and collectibles, poker books and DVDs and the perfect gifts for any game room. 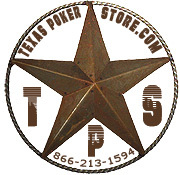 You can find the Texas Poker Store's website at http://www.texaspokerstore.com , or visit their blog at http://www.texaspokerstoreblog.com Follow them on twitter and keep up with them on Facebook and Pinterest.